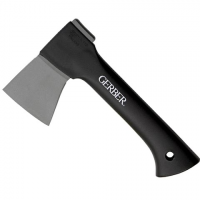 Split medium and large-sized logs in one strike with the durable Gerber 36" Power Splitting axe. It has an extra-long handle, weighted stainless steel head and PTFE-coated blade that won't stick. Gerber axes like all of our products are built to face down challenges. Taken along on a camping trip or applied for use in the yard the Back Paxe II is light in mass and tough in the blade. 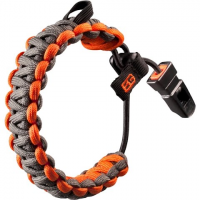 Always be prepared in the wild with the Gerber Bear Grylls basic kit. 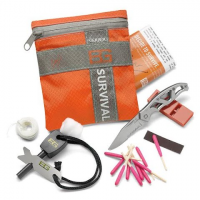 This 8-piece survival set comes in a waterproof ripstop nylon bag that's easy to stash in a glove compartment or backpack. Man Vs. Wild`s own Bear Grylls knows a little something about servival in the wilderness. 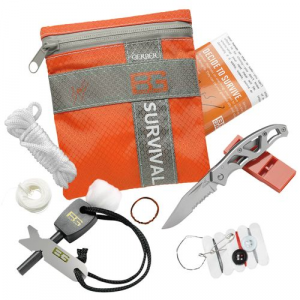 This Basic survival kit from Gerber includes the bare essentials for survival including emergency whistle Mini-Paraframe folding knife and fire starting tools. 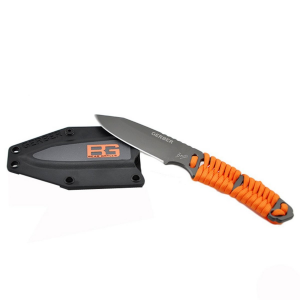 Compact and indestructible, the Gerber Bear Grylls Compact Fixed Blade Knife is designed to be a smaller, bare-bones survival knife that stays close at hand. 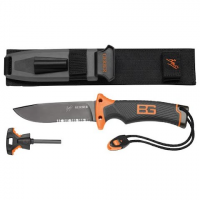 The Gerber Bear Grylls Ultimate knife is the pinnacle of the Bear Grylls Survival series. Designed with direct input from Bear himself, this blade features innovations not found on other knives. Big Rock camping knife features an ergonomic, contoured SoftGrip overmold handle with textured grip points for a secure, comfortable grasp. The modern version of the traditional jungle machete, the Gerber Broadcut machete has a corrosion-resistant, fine-edge blade that is effective at breaking down dense brush. Way lighter than your typical brush-clearing implement, the tough, packable Gerber Compact Clearpath machete is the tool to bring to the backcountry when you're counting every ounce. With superior materials and a utilitarian design, the Gerber Contrast AO serrated assisted opening knife features quick one-handed deployment and an easy-to-grip handle.